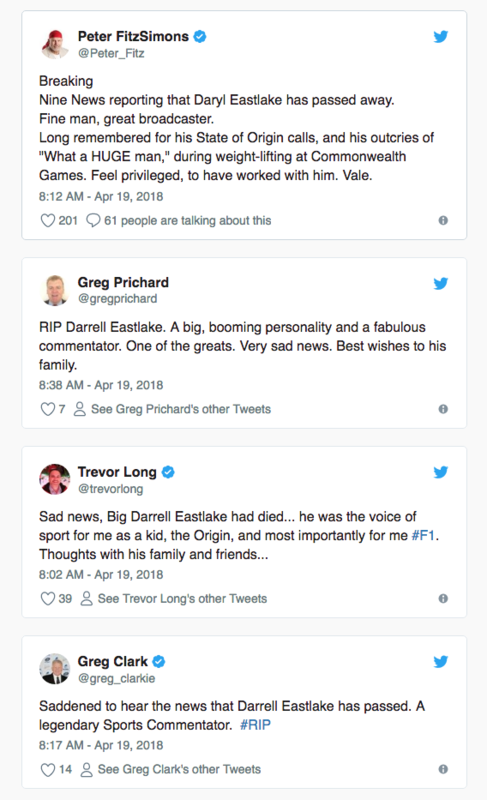 One of the greats of Australian sports commentating, Darrell Eastlake, has passed away aged 75. Eastlake became a household name over his four-decade career namely for his booming voice and passion for any sport he commentated on. He passed away on the NSW Central Coast after a long and well-publicised battle with Alzheimer’s disease. Eastlake spent 23 years of his career working for Channel Nine and its Wide World Of Sports program. Born on July 11, 1942, Eastlake first started working as a Qantas baggage handler. Later, he ran a surf shop, and one of his first commentating gigs was doing surf reports on Sydney radio station 2UW. 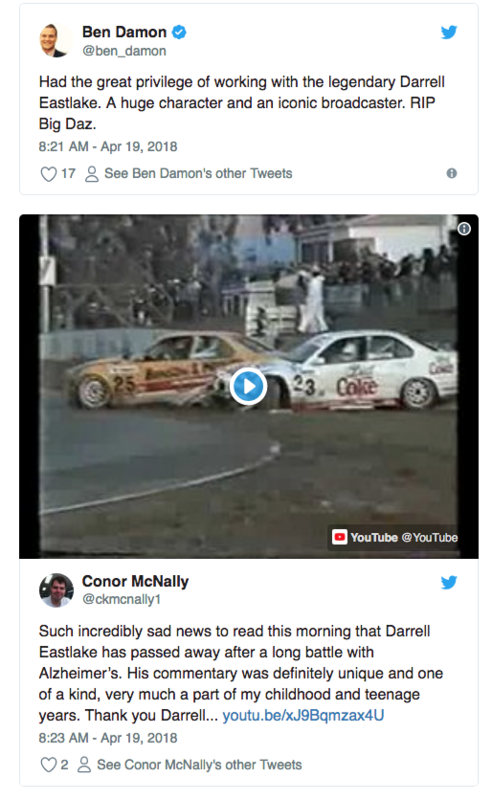 Nine’s director of sport, Tom Malone, said: “Darrell’s impact on Australian sport cannot be overstated. He was one of the leading voices and faces of Wide World of Sports. He revolutionised sports like Weightlifting, Formula 1, and Superbikes with his trademark excitement and “HUUGE” commentary. Better than most, he understood that sport is entertainment, and for the average person, a momentary escape from their everyday life. “His inimitable commentary was central to the early success of State of Origin, especially his love of King Wally, Lang Park, and the underdog Queenslanders. “He loved athletes and he loved sport and shared that passion and love with all of us through the television, Malone said.